“The palatial exhibition hall was teeming with all sorts and conditions of tattoos, beards and geeky glasses. We sent Cult & Boutique Wine Management’s Jonathan Whittley along to two recent trade events to offer clients a peek behind the curtain. The Saint-Emilion tasting in the City of London offered the latest 2015 vintage from a selection of Chateaux along with older vintages of the producers choice. This was closely followed by a visit to IMBIBElive at Olympia in Kensington which has a much broader range of drinks trade related stalls as well as catering to the discerning wine buyer and consumer. The Leadenhall Building is one of an ever-increasing number of landmark skyscrapers that are springing up on London’s panorama. Commonly known as ‘The Cheesegrater’ and designed by the Rogers Stirk Harbour Partnership – yes, Lord Rogers of the Lloyds building – it is angled at 10 degrees to accommodate planning requirements protecting views of worthier and more ancient landmarks such as St. Paul’s Cathedral and the Palace of Westminster. The venue almost at its 250m summit is called ‘Landing 42’, and I had the good fortune to be dispatched there by the powers that be at Cult & Boutique to a tasting given under the auspices of the ‘Association de Grands Crus Classes de St Emilion’. If that sounds quite a mouthful, it was as nothing to the several mouthfuls of extremely good vintages of St Emilion I tasted, some of which I actually swallowed completely on good advice! The base of the cheesegrater forms a canopy over the street beneath it. Reception, which I would guess is on the third storey, is reached by an escalator from the street. There was a suited discreet gentleman beside the escalator in order to prevent undesirables going up it . I told him that I was here for the wine-tasting and he said I was to give my name to the “girl over there”. The GOT, on whose i-pad shone my credibility, was equally charming and motioned me up the escalator, by-passing tedious TfL- style security gates and up in a lift to the 42nd floor-a journey which took all of 30 seconds, just like it said in the blurb. Spencer had said to me that I would be in my element as a fluent French speaker, as everyone at the tasting he attended last year spoke in French. It may have been something to do with the low ceiling and the spectacular vistas of the metropolis to be viewed all around, but in a slightly serious and hallowed atmosphere I could actually have done with speaking a little more French than I did. The first person I recognised was an old wine hand I know called Douglas Harrison, of Harrison Wines in Ealing. He is a man who knows his Julien from his Estournel, and so when he pointed me in the direction of a 2005 Chateau La Tour Figeac and said “Don’t spit it out !” I was hardly likely to disobey him. On these occasions you can learn as much from the various people you meet as you can from tasting the wine itself. I became aware of an organisation hitherto unknown to me called the ‘Jurade de St Emilion’, a brotherhood of wine enthusiasts acting as ambassadors for St Emilion across the globe, and assuring its quality control. It even boasts an English Branch, with two ‘Chancelleries’, one in London and the other in York. The Chancellor of the Chancellery of York is a very genial barrister called Tim Hartley, who went to some length to tell me that the St Emilion brotherhood was founded centuries before its Burgundian counterpart. I actually don’t think he’s quite right, as his brotherhood was ‘resurrected’ in its present form in 1948, after its predecessor, carrying much greater jurisdiction, was disbanded in 1789. But there’s only a few years in it, the Confrerie des Chevaliers du Tastevin in Burgundy having been founded in 1934, so I’m not going to argue too much. 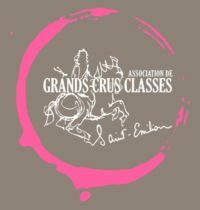 All in all, as is to be expected, one 2015 vintage St Emilion ‘Grand Cru Classe’ tasted much the same as another at this very early stage – all were stunning in their own right and 2015 will definitely be a Saint-Emilion vintage to watch, so expect high scores from the critics. The fun was to be had tasting the greater and more noble vintages (and chateaux) to give the wine-buyer an idea of what their investment could produce in years to come. But by all accounts, when the time comes, I will be very hopeful that future generations can deliver the same verdict on St Emilion 2015 as did Mr Sinatra on another subject : ‘ It Was A Very Good Year’. He was singing about love as ever – but then when hasn’t a glass or two of good wine helped that along ? If the Leadenhall St Emilion tasting could be characterised as a tweedy, sage, anecdotal uncle, then ‘IMBIBElive 2016’, which took place in early July at Olympia, was definitely his all-singing, all-dancing teenage niece. The palatial exhibition hall was teeming with all sorts and conditions of tattoos, beards and geeky glasses. 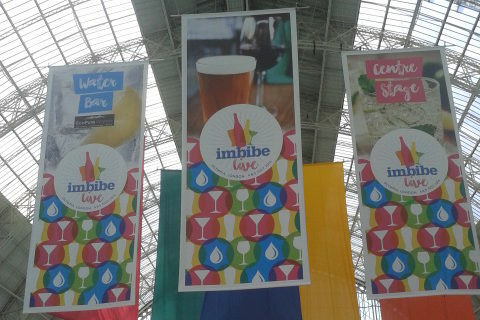 IMBIBElive is a trade fair geared in large part to the drinks on-trade : cocktails, beers, spirits etc., so not of great interest to the discerning Cult & Boutique wine investor. Several of the above mentioned fashion specimens wore lanyards proclaiming ‘Bartender, Dog and Duck’ and suchlike, and had figures to match. But there were some informative wine seminars which I had put myself down for. The first and probably best of those I attended was a palate training exercise, effectively a blind tasting, presented by Ronan Sayburn – a Master Sommelier. Four wines were placed in front of us, white and red, young and not so young, and it was down to us to guess – looking at acidity, colour, legs – where they came from. Along the way we learnt a lot about what to look for and how to describe features and taste. A word which has hitherto not graced my vocabulary is ‘anthocyanin’, which I encountered for the first time, and without wishing to go into geeky wine-chemistry detail, is an agent in the colouring of red wine. The next seminar on my list was entitled ‘Orange Is The New Wine’ and centred on the current trend for orange wine. I would be quite happy, as I am with several current trends, to pass it by. It involves leaving the grape skins and seeds in contact with the juice while fermenting , producing the orange colour. Again there were four wines in front of me, and I can’t say I found any of them interesting. They were all quite bitter, and tasted variously of Campari – which I don’t like anyway – or rather musty Grand Marnier. I am afraid that a small domestic crisis involving a cracked water-pipe prevented me from attending a Food and Wine Pairing seminar the next morning, though I did manage to make it to a session on biodynamics. This was given by an Austrian whom I might describe as the Billy Graham of organic wine-growers. He was very evangelical about his craft, how it did the least harm to the environment – no pesticides etc – but after 20 minutes of monotone heavily accented ranting I gave up and went to have a glass of very good ‘Assemble’ Methode Traditionelle Brut from No1 Family Estate in Marlborough NZ. How could I resist it when poured for me by the charming Virginie, who is the daughter of the Family, and her stand, under the Amathus Wines umbrella, had a prime position just inside the entrance to the hall. The final seminar I went to was Jeremy Seysses, of Domaine Dujac in Burgundy. We compared a number of different appellations from the same year -2013- with the same one across different years, stretching back 20 years. As with the St Emilion tasting, all the 2013 wines had yet to release their full potential, whereas the vertical tasting was more interesting, a 2001 Clos Laroche being my favourite. So to sum up my visit to IMBIBElive , I would say that although it is first and foremost not an exhibition primarily angled towards the typical Cult & Boutique client, the wine seminars were interesting and informative, and I did come away with more knowledge of an area where the discerning wine-investor can never know too much.